During Apple's earnings call, Tim Cook said that Apple Music subscribers will be able to listen to music on the new Apple TV. Apple Music is headed to your television thanks to the new Apple TV. Although the new Apple TV set-top doesn’t look much different than the previous generation—mostly just a little taller—this device has several new features under the hood. Along with Siri integration, one of the most prominent new features for Apple TV is the all-new tvOS app store. Why this matters: “Apps are the future of television,” Cook said during the earnings calls. Similar to iOS, OS X, and watchOS, tvOS allows developers to create apps built specifically for the Apple TV. So it makes sense that Apple’s native apps will be some of the first to populate this new ecosystem, along with entertainment partners like HBO, Hulu, and Netflix. Along with Apple Music, the Apple TV will also have a native Photos app. Previously, Beats Music was the only music streaming service with a native Apple TV app (you could listen to other services, like Spotify and Rdio, on Apple TV via AirPlay). 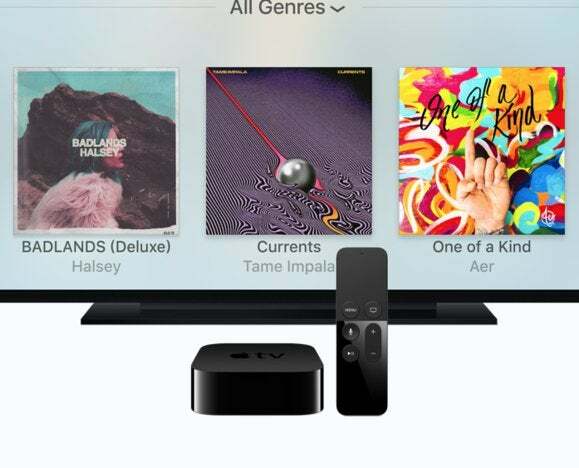 With Apple’s commitment to an open tvOS ecosystem, we should expect rivals like Spotify and Google Play Music to launch Apple TV apps in the near future but no such plans have yet been announced. Previously, Apple Music subscribers could only listen to music on mobile via the Music iOS app or on desktops via iTunes. 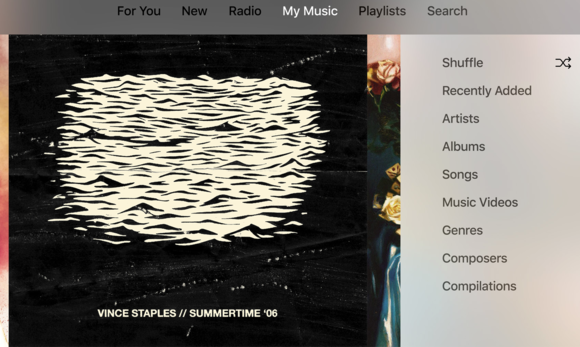 An Android app for Apple Music is also forthcoming, with leaked screenshots revealing a very similar interface to the iOS app.